Transit marketing: An advantage for business? Any business or brand is incomplete without a marketing strategy and for marketing you need to advertise it widely and wisely. Although digital shapes today’s business but outdoor advertisements has its own major role to play. If you wish to promote your brand to millions of people, transit media is just the perfect choice. 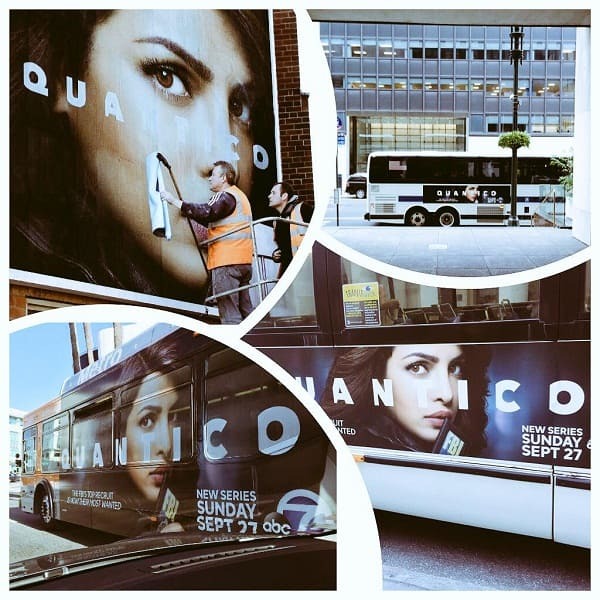 Remember how our former Miss World, Priyanka Chopra made it big globally when her American show, ABC’s Quantico was featured on billboards and hoardings at New York Time Square! She has made all of us proud. Let us first understand about what exactly is OOH advertising and how does it helps in brand marketing? It is out of home advertising which reaches audience when they are outside their homes. We often come across billboard ads, hoardings, transit media (advertisements displayed on taxis, buses, cars, subways, trains), signages, etc. which helps companies, government to reach out a large number of people. Firstly, it is a part of OOH. Secondly, it is advertising placed in, on, or around modes of public transportation. They can be buses, subways, taxis, metros, railways or train stations. Our Government usually prefers this form of advertising because it is a great way to reach a really diverse audience. Be it tourists, families, corporate professionals or students. Let us go a little deep into transit media with some examples. We all cannot forget the traffic awareness billboard picture which Jaipur Police had put up on twitter. The aim was to warn drivers to not to cross the zebra line. As soon as it was posted, there was a humongous appreciation and criticism both. While some praised the creativity for the ad, some were upset too. It was put up right after Bumrah’s Champions trophy blunder. Well, we blame nobody for losing the trophy! It just wasn’t our day! Checkout. Next one is using taxi outers for brand marketing. Transit Marketing (use of taxis): The Engineers Choice “Ultra Cement” chose taxis to promote their brand. Now the popular and wanted one: Bus Branding. It helps to cater message to all age groups. Advertising on buses has always helped brands to reach out globally. Pan India it one of the best forms of marketing a brand. Below seen is the image of Indian e-commerce giant, Snapdeal which is using buses as their medium to promote their brand. This type of bus advertising where signs are used on the sides of transit vehicles is King and Queen Signs. The one which uses the back is tail sign. Not just the bus panels or bus backs, some brands are using the grab handles of buses to promote their brand. Interesting, Right? The popular cab company, Ola used grab handles in a bus to advertise their taxi service. Motto being to use an Ola auto instead of standing in a crowded bus. Not just the grab handles, buses have also lent their back seats to advertisers. See how a popular radio channel has used each seat’s back as a medium to deliver their message. The brand’s creatives/vinyls are stuck at the back seat depending on the size and shape. Now why have these huge agencies chosen Bus Advertising to sell their brand? Because it helps connect with people easily. A person sitting on the bus seat will surely have a glimpse of that particular ad. This is the third category of bus advertising known as Interior cards which are smaller in size and seen only by riders. Though bus marketing gets a 24/7 coverage but people view it for just a fraction of seconds unless they are travelling for a long number of hours. Railways has this plus point. Because the journey is for a longer duration, you get to completely view and review the ad. Railways advertising almost similar to bus advertising thus has an edge over the latter. People from all walks of life travel through railways and in India it is the best means to commute around the country. Railway advertising not just necessarily include wrappings ads on train but also putting vantage points, installing LEDs across stations and gantries(while changing platforms). Transit advertising has its own set of advantages and pitfalls for a business. On one side where it gets plenty of exposure, is least expensive; on the other for local advertisers, transit marketing can reach a very selected portion of population. And there might be chances that it does not carry the exact representation of that particular brand. Sometimes the ads can fail badly! A lot of creative agencies are today showing their prowess with highly talented graphic designers, smart editors and copywriters. But only one thing can sell of your brand in a right manner and that is it has to be UNIQUE and something which majority of population can relate to. 1 link.. 2 link.. 3 link.. 4 link.. 5 link.. 6 link.. 7 link..